I certainly don’t believe there is one and only one way to run a support group, but so many people ask me be what format they should use with a group and how I ran our group, so I decided to include some suggestions. I will elaborate a little on each part. I start with jokes because when I first thought of leading a cancer support group, it sounded terribly depressing and I wanted to make sure that it wasn’t just a group sitting around and crying all evening. The Bible tells us that “A cheerful heart is good medicine” and there are proven therapeutic benefits to laughter, so I make sure that we always laugh as much—or more—than we cry. I even start my Grief Prayer Support Group with jokes, too. I wasn’t sure how that would work, but they love them. 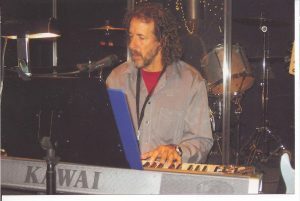 My favorite site for good, clean jokes is the Good Clean Funnies List at www.gcfl.net . You can find other sites by just doing a search under a topic such as “clean jokes.” Because people know I collect jokes, they email me with new ones or bring jokes to the meetings. We sit around a large table and we go around and everyone introduces themselves. First-timers are encouraged to talk more and tell more of their story. “Regulars” are encouraged to share very abbreviated versions of their story and give updates on any tests, prayer concerns etc. Everyone is encouraged to share news whether it be “good, bad or ugly.” I’ve had some people who want to tell every detail of their cancer journey at every meeting – for years – and this can be quite a challenge. Sometimes before they introduce themselves, I say something like “Joe has an incredible story of all God has brought him through, but since we have such a large group tonight, he’s just going to give us the Reader’s Digest condensed version. (SMILE) If you want to hear more, please talk with him after the group.” Sometimes I have people in the group who really like to pray for the others and they will take notes during this sharing time so they can remember what to pray after the meeting. Sometimes we have a large group (my daytime group runs between 10-15 and my evening between 20-30) or lots of first-timers and these intros take a long time or even most of the time. I don’t worry about that. I interject comments (and humor) throughout and solicit comments from others who I think might have something to encourage somebody else so it always is time well spent. Has anything good come out of your cancer experience? Do you feel closer or farther from God since your diagnosis? What is the most difficult part for you to handle: the physical, emotional or spiritual? Where are you getting the support to see you through? What about your situation causes you the most anxiety? How is your family dealing with your diagnosis? Do you feel guilty for having cancer—that it’s somehow your fault? How have you changed since your diagnosis? Have your priorities changed since your diagnosis? What advice do you have for someone facing surgery/chemo/radiation? Have your feelings toward God changed since your diagnosis? How do you feel when it’s almost time for your next check-up? Do you ever wish you could just have one day without thinking about cancer? What is the hardest time of day for you and why? How do you get cheered up when you are down? What Bible verses have encouraged you? Did you ever think about cancer before your diagnosis? What books have you read that encouraged you? It might be something from a published devotional or from a book on cancer. I always have some sort of spiritual encouragement to share. The He Cares NT works well for devotionals as you can either read one of the extra articles or choose one of “Helpful Topics” listed on page A14 and share the accompanying scriptures and inspirational commentary. 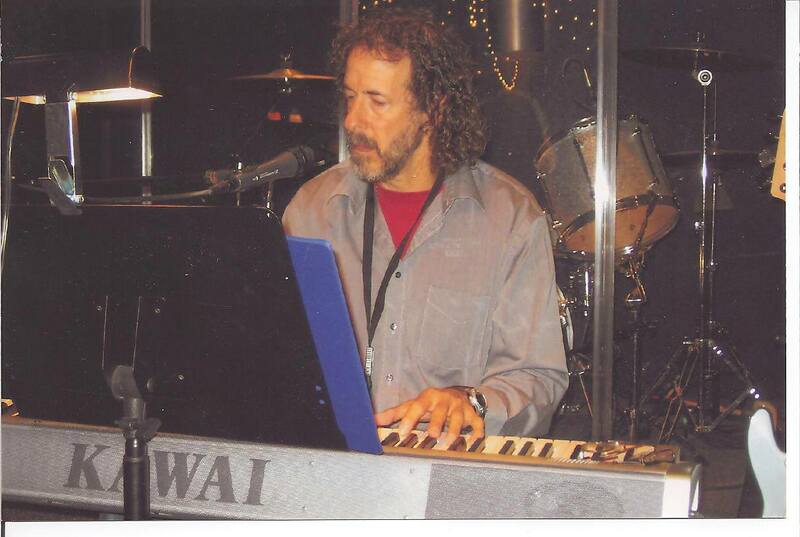 Through the years I have had people who were willing to share a devotional with the group and that is always nice. Sometimes I have two or three different things with me and I wait to see how the meeting goes and which might be most appropriate for the group gathered. 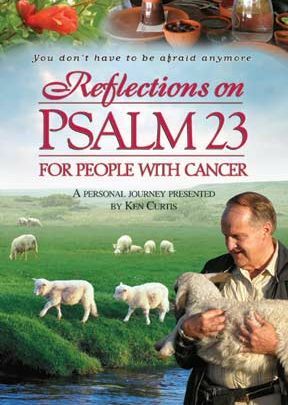 winning Christian film producer battling two cancers at the time: “Reflections on Psalm 23 for People with Cancer,” “Reflections on the Lord’s Prayer for People with Cancer” and “Reflections on the Beatitudes for People with Cancer.” These DVDs are professionally done and the music, scenery and inspiration are unequalled in anything else available. For more information about this series, go to the resources section. One other resource we often used in our groups is John Piper’s essay “Don’t Waste Your Cancer” found at http://www.crosswalk.com/1383847/. We took one of the 10 points and discuss is at the meeting and I added other scriptures and examples. Very thought-provoking stuff although some of the points may be hard for non-believers to understand and accept. Because my group is called a Cancer PRAYER Support Group, I thought it would be a shame if someone came and left without getting prayed for. So, we join hands at the end of the meeting and people can pray out loud for themselves or one another. Sometimes people do and sometimes they don’t, but I always pray out loud for each person in the circle by name. I believe that as we join hands we experience God’s presence in a special way, too. We put the snacks out at the beginning of the meeting so in case anyone has to leave early they won’t miss out! I have one lady who has taken it upon herself to supply a boatload of snacks for every meeting (and other attendees often bring more contributions!). I would like to say we have all these wonderful, healthy, cancer-preventing foods, but usually we just eat what tastes really good! When I first started the group, I always baked something special for the meeting. My kids were still little then and we rarely ever had dessert at our house because I’ve always been kind of a health nut. One day, I recall my youngest daughter saw me baking something and she looked at me very forlornly and said “I bet that’s not for us—it’s for the cancer patients, right?” Needless to say, she got a piece! I occasionally have a special speaker at my meetings. Because my group is more inspirational than educational, it’s usually someone sharing a “testimony” of how God has seen them through their cancer journey. No using names if you share anything “bad” about a doctor or anyone else. No divulging outside the group what’s shared in the group (respect confidentiality). If the cancer patient passes away, loved ones may NOT continue to attend regular meetings. They may come back once to see everyone and for some “closure” but not after that because it changes the atmosphere of the meeting too much and the needs of grievers are different that those of patients and caregivers. It’s especially hard to draw newly diagnosed patients if your group has loved ones of deceased patients still there. Loved ones are encouraged to attend the semi-annual dessert concerts or meet privately with the support group facilitator.